Kansas City Groupon Deal Gets Client on Fitness Track! Home/Success Stories/Kansas City Groupon Deal Gets Client on Fitness Track! 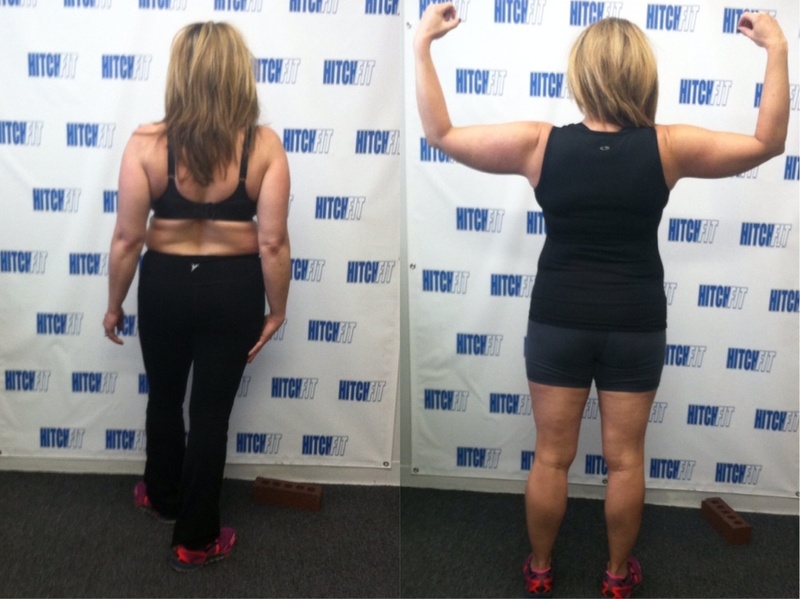 Transformation by Hitch Fit Gym Downtown Personal Trainer (Transformer) Nancy Choquette! “In April of 2014, I dropped a 45 lb weight on my foot at the gym, breaking it in 3 places. Two weeks later I turned 45. The combination took me to my fitness knees. I could no longer do cardio, and middle age wasn’t just sneaking up on me, it had declared war. It felt like an unbreakable circle, I had no energy to exercise, and I wasn’t exercising because I had no energy. As a result, the pounds started to pack on in the worst possible places…..I started noticing cellulite on my forearm! Yikes! I registered for a half marathon in January 2015 as motivation to get moving again. I did it, but my training was spotty and my time was well above where I aimed to finish. Worse than anything else, I hadn’t burned one single pound off in the process. I realized that I wasn’t going to get where I wanted to be on my own, it was time to ask for help. 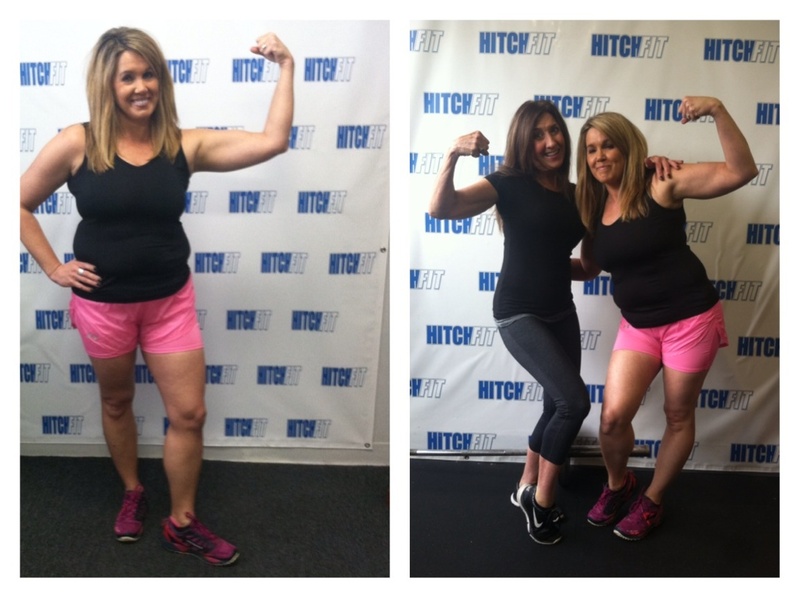 I watched my dear friend Nancy’s transformation, and as luck would have it, she had just started as a trainer for Hitch Fit when I was deciding on a course of action. I clicked the Groupon offer on Facebook and it was off to the proverbial races. She was so patient with me, and put me on the right training regimen for my fitness level. She knew exactly when to start turning up the knob on the weight and intensity. I had tried so many other options like CrossFit and other boot camp like classes at my gym. I ended up discouraged because I couldn’t keep up, plus they weren’t fun to do. Nancy gave me a meal plan and great alternatives when I wasn’t able to fully follow (like when I was at an all day sports tournament with my kids, or when I only had 5 minutes to eat and get back out the door). I started meal planning and meal prepping, and everything started to turn around. My energy level increased, my clothes started fitting better, and I felt more like ME again! Even my kids noticed a difference in my appearance! The one on one experience and the accountability helped me to stay on track when there were days it was hard to keep focused. Are you READY FOR YOUR TRANSFORMATION with Nancy? Or call 816-753-8900 and request to train with Nancy Choquette at our Downtown Kansas City Location! 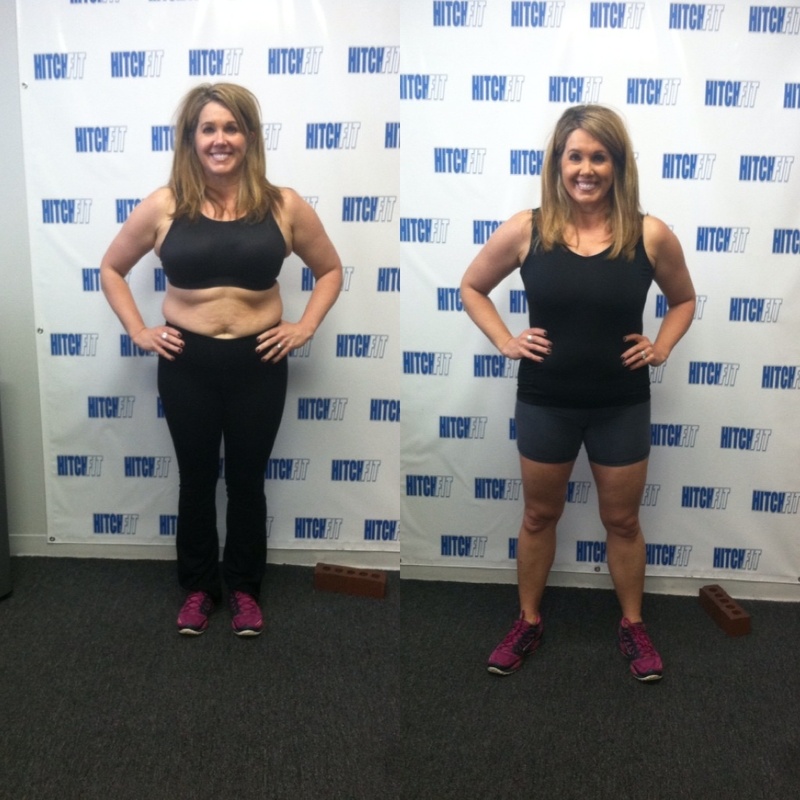 If you are closer to the Overland Park location, please call 816-753-8900 and we will gladly set you up with one of the transformation trainers there!